The Middle East, North Africa and Asia-Pacific regions will also experience a persistent rise in conflicts. This increasing trend in instability promises billions of dollars of profits for global defence firms, concludes the report, published last month by Infiniti Research Ltd., a market intelligence firm whose clients include Fortune 500 companies. Although the countries of the Asia-Pacific region will have the smaller market share of over $1 billion, they will see by far the highest rate of growth at 6%, concentrated in India, China, Thailand, Vietnam, and South Korea. The new report corroborates the forecasts of more well-known institutions. The study was commissioned by Lloyds but carried out by Henry Wilkinson, head of intelligence at the Risk Advisory Group. 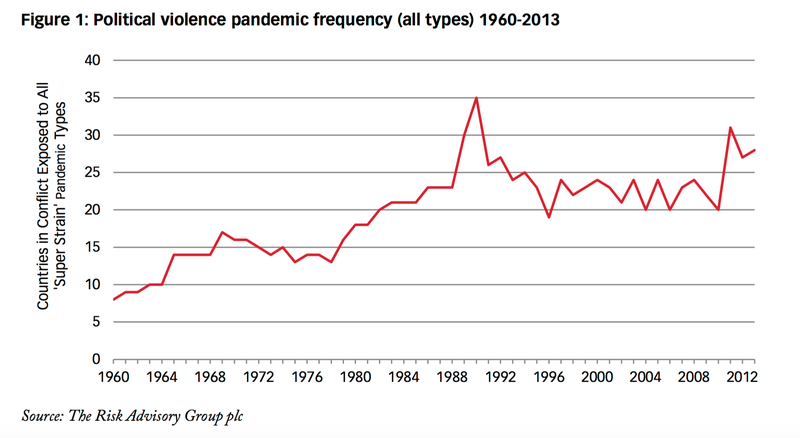 Examining the frequency and persistence of what he calls “PV pandemics”, Wilkinson shows that they have consistently increased from the 1960s until today. The report also identifies three fundamental “super-strains” of such PV pandemics, the first two of which are non-violent. The report thus sees social protest and dissent against government policies of militarism abroad and neoliberal austerity at home as inherently dangerous, and potential precursors to “contagions” of violence, although as the report itself admits, there is no real empirical or even qualitative evidence for this. The report identifies several other risk factors, including “an increase in the share of internet users”, greater urban concentration, as well as increases in infant mortality, a young population, and inadequate military spending. In recent months there have been several more direct indicators that Western governments anticipate a rise in domestic unrest. 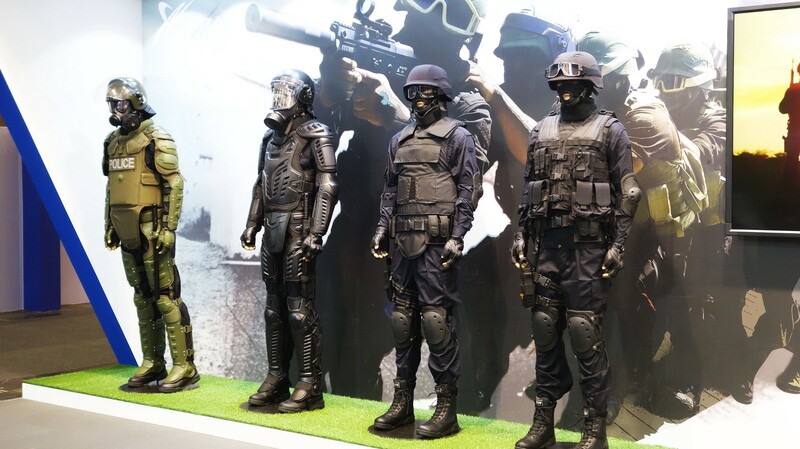 Last month, the German newsmagazine Deutsche Wirtschafts Nachrichten reported that European Union police and military units conducted secret military exercises simulating a civil war in Germany. The exercises simulated a government “crackdown on civil unrest in Germany and other EU countries.” German parliamentarian Andrej Hunko tried to attend the exercises as an observer but was denied access. There appears to be an emerging belief among senior officials in Europe that the risk of unrest is rising rapidly. Penny Mordant, the UK’s Armed Forces Minister, similarly said in April that the combination of austerity and the migrant crisis had created “tremendous potential for civil unrest” across Europe. “False nationalism can lead to real war,” he said.